May not be such a good idea after all! If you have children attending WiFi enabled schools, or are involved in education as an administrator, teacher, or school board member, it may be time to look at the mounting evidence linking health risks to EMF and WiFi exposure—especially for children! Parents and teachers unions are calling for safer wireless – see a list of actions HERE! 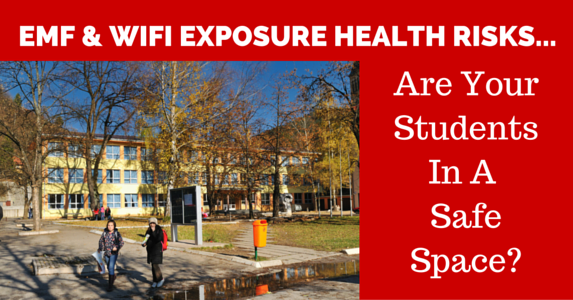 Dr. George Carlo – The Medical Term for WiFi in Schools – Brief and to the point! What Should Be Done About WiFi In Schools? GENERATION ZAPPED! is a documentary film investigating the growing body of research suggesting that wireless technology can pose serious health risks.